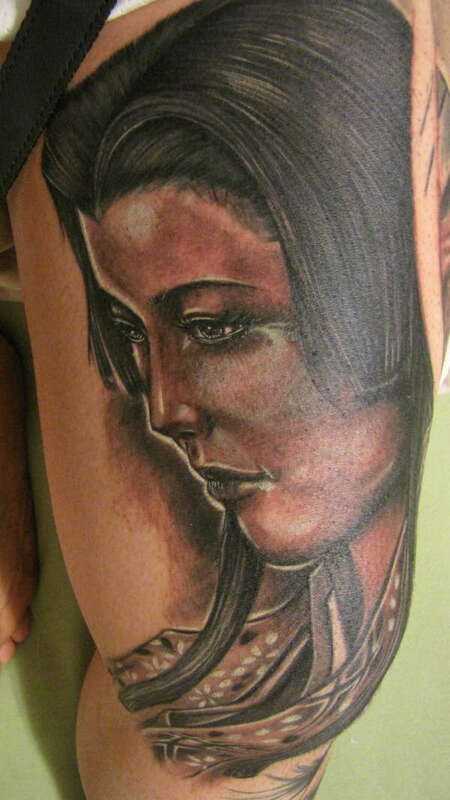 this is another piece added to my in progress leg sleeve. done by jess yen from mytats at the sf body art expo. took about 9hrs. eyes are so hard to get right too...beautiful job!! great artist! Your scrotum will forever have a landing pad on my tongue. i love the hair.its so hard to get hair to look that good in a tatt.